CA LCC NEWS! Adaptive Capacity webinar, coastal infrastructure report, and more! 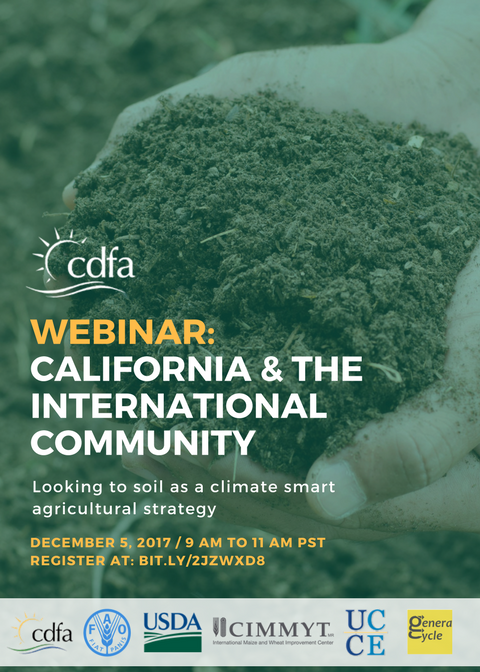 Join public and private representatives from California and around the world to discuss the barriers, strategies and success stories related to soil health. December 6, 2017 - Tomorrow! What exactly is adaptive capacity? How can we use knowledge of adaptive capacity to improve management practices? Join this interactive webinar to explore these questions and provide insights from your work! Presenters will provide a synthesis of current science on adaptive capacity and ask participants how these concepts could apply to their work! Let's get innovative! As part of California's 4th Assessment project Point Blue, The Nature Conservancy, and NOAA's Sentinel Site Cooperative just released a compilation of coastal natural infrastructure case studies from California. Photo of the week - It's Fly off Season! The CA LCC staff would like to remind you to catch a fly off in Sacramento Valley before it is to late! It is a great holiday tradition, so get out there.